The three greatest things about Panna Cotta are: It is easy to make, you can fool around with the recipe a lot because there are no eggs and finally it always tastes great! Zo originally made a recipe from David Lebovitz's blog who in turn adapted the recipe from Judy Witts cookbook "Secrets From My Tuscan Kitchen." If you take the time to check out that recipe you will notice that the only to ingredients that remained the same are the gelatin and the sugar. 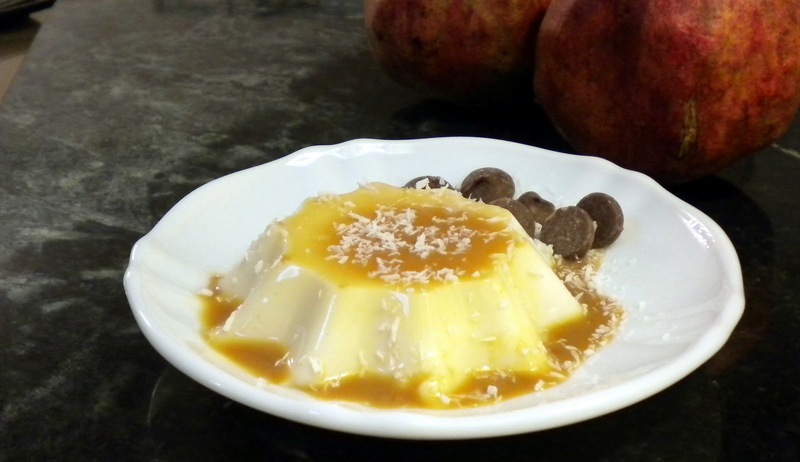 Zo decided that since we both loved coconut she would totally remake this recipe, the only thing I begged to remain the same was the caramelized sugar sauce the drizzled over the Panna Cotta the first time she made it. So just because she loved me we still had the caramel sauce! That is a big win for love if I don't say so myself, and I do. Enjoy Zo's amazing Coconut Panna Cotta today! Heat the coconut milk, coconut cream, heavy cream and sugar in a saucepan over medium low heat. Once the sugar has fully dissolved remove the sauce pan from heat and whisk in the vanilla extract. Using a butter knife loosening the edges of the Panna Cotta and flip over onto a serving plate, top with caramelized sugar and garnish with toasted coconut. Enjoy!